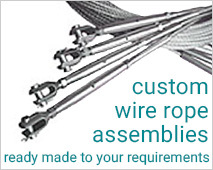 Rigging screw body with fork (and clevis pin) at one end, swage stud for for crimping onto stainless steel wire rope at the other end, manufactured from A4-AISI marine grade stainless steel. 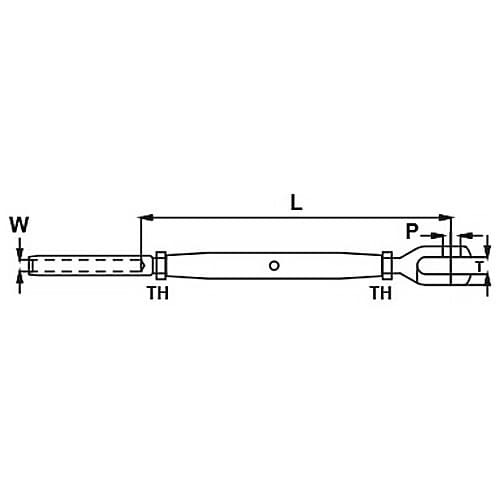 Traditional style fork to swage stud turnbuckle manufactured from high quality 316 grade solid stainless steel bar which is then polished to a mirror finish. 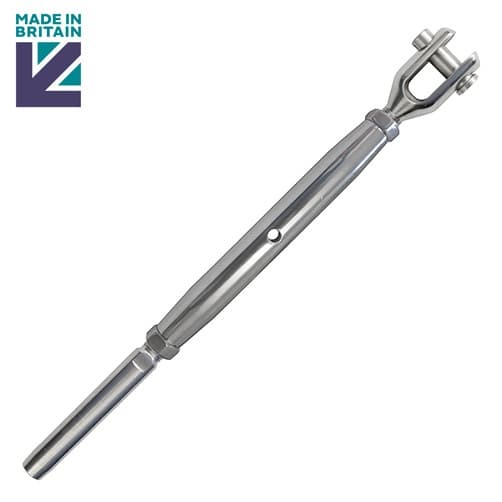 This high quality stainless steel turnbuckle with threaded fork to swage stud ends has been engineered and manufactured here in the UK.